We are leading more and more digitized lives. 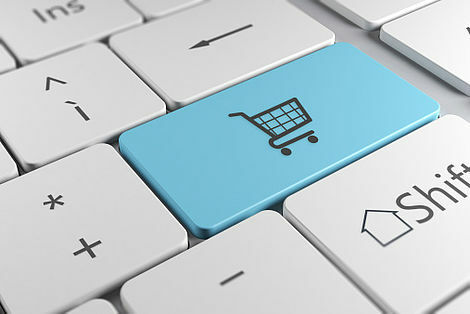 The European Commission assumes that half of Europe already shops online, the trend is even upward. As a consequence, business organisations are counting on e-commerce ­­– and searching for experts on digital advertising, search engine optimization, or data management. Accordingly, vocational training institutions offer a wide range of trainings – that unfortunately lack European convergence. This is where e-COMMA came into play. The international partnership from Poland, France, Italy and Germany identified job roles for e-marketing and e-commerce and developed appropriate trainings. This vocational education is based on the European norm EN-16234-1:2016, that takes into account sector-specific competences. This approach leads to comparison and acceptance of vocational qualifications throughout Europe. The project "e-COMMA - Identification and definition of emerging eCommece and Online-Marketing job profiles", agreement no. 2015-1-PL01-KA202-016959 was successfully carried our between 2015 and 2018. It was funded by the EU within the Erasmus+-programme under key action 2: cooperation for innovation and the exchange of good practices. The project is realized by the University of Economics Wroclaw (Poland) as leader of the consortium in cooperation with different partners: Guimel (Gujan-Mestras, France), the Centro Italiano per l’Apprendimento Permanente (Rome, Italy), the University of Economics in Katowice (Poland) and the FOM Hochschule (Essen, Germany). This Website reflects the views only of the author(s), and the Commission cannot be held responsible for any use which made be made of the information contained therein.